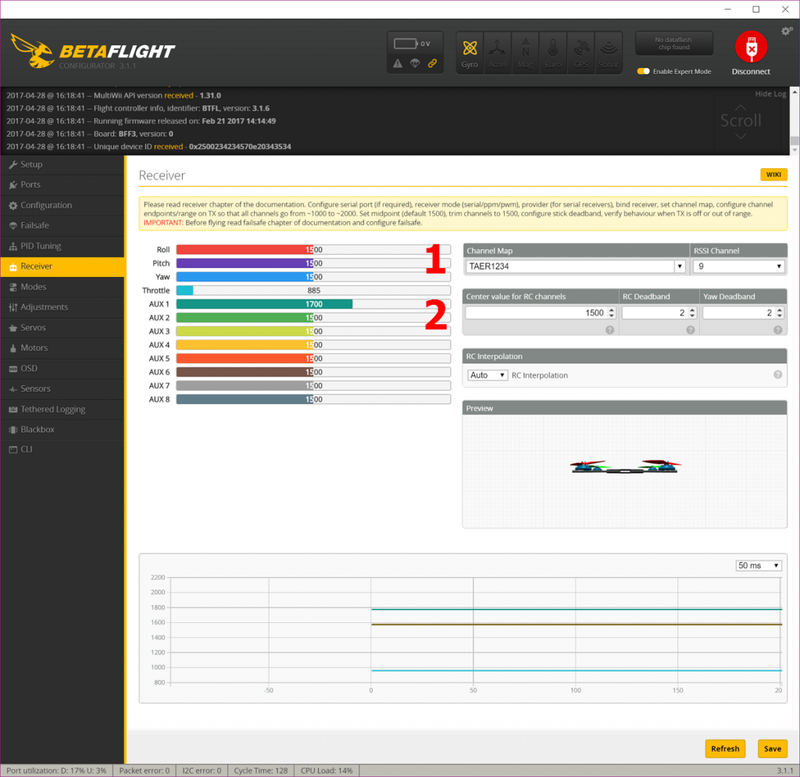 Since assembling our Drone Racing Guide, the most common problem we get from first timers is: “my sticks don’t move the values in the receiver tab in Betaflight configurator”. This is an understandable problem – there are several steps required to getting this communication to work properly and missing any of them will cause it to not work. 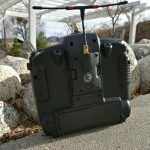 This article should serve as a “checklist” or sorts that you can go through if you encounter this problem. This article assumes that you are using a serial receiver protocol like SBUS, IBUS or Spektrum satellite protocol. 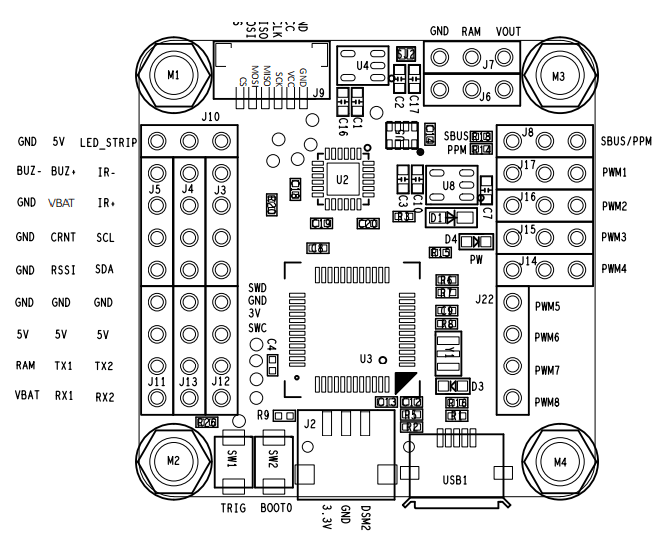 Look closely at the pinout diagram for your flight controller before wiring anything. It is especially important to pay attention to the pin where the serial inverter on a flight controller is located. On this Omnibus F4, for example, you should not plug an IBUS RX into the SBUS pin – it should go to the RX2 pin (UART2 RX). 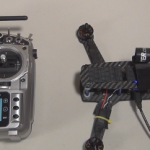 Your serial receiver has 3 wires, each must be attached to your flight controller properly. However, how these wires are hooked up to your flight controller depends on what radio control system you are using. The ground (black) wire is always hooked up to any ground pin on your flight controller. 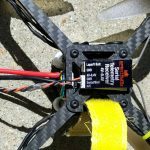 FrSky / FlySky / Futaba receivers – to any 5V pin on your flight controller. Spektrum satellite receivers – to any 3.3V pin on your flight controller. Spektrum / FlySky receivers – Can be hooked up to any UART RX pin as long as it does not have permanent serial inversion. If a pin is labeled as “SBUS” you should probably not connect your Spektrum or FlySky receiver to it because there is a chance it has this permanent inversion. Instead, choose a pin labeled “UART 2 RX” or “UART 3 RX”. 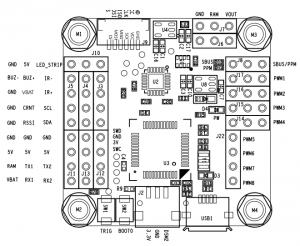 Futaba / FrSky receivers – Must be hooked up to a UART RX pin that supports serial inversion. If a pin is labeled as “SBUS” it generally means you are good to hook up to it. If you see no such labels, check out the manual for your flight controller. If it has serial inversion on a pin, it will mention which pin it is. Some older boards do not have serial inversion. You will need to buy an external serial inverter to support SBUS on these boards. Make sure you hook up the other end of the plug to the correct pins or port on your RX. Most RXs that support serial data will only support it on one pin. Consult the manual for your RC system to determine which pin that is. 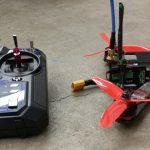 On systems with Telemetry (FrSky / FlySky) – are you getting a telemetry feed from your quadcopter when it is plugged in? Does it go away when you unplug it? There should be some indicators on your transmitter. Most RC receivers show a solid light when receiving instructions from a bound transmitter. Do you see a solid light on your RX? Does it extinguish when you turn off your TX? On some receivers, you must manually enable the serial receiver mode. This is sometimes done by using a special connector that comes with the RX that bridges two pins. On other radio control systems, it is done by configuring the transmitter. Consult your radio control system manual to figure out what needs to be done, if anything. Verify once again that your RX is powered on. Spektrum receivers get powered on by USB power alone. All other receivers will need you to plug in a flight battery. The indicator light on the RX should clue you in. 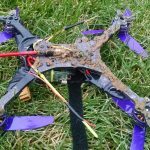 Remove your props if you are plugging in your battery! Ports tab – make sure the appropriate UART is selected as the Serial RX. 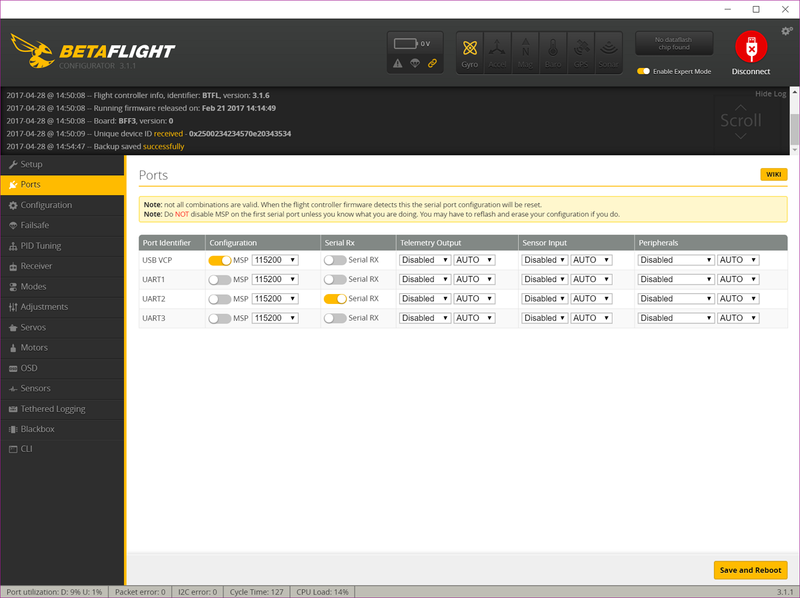 Consult your build diagram or flight controller manual to figure out which UART you wired your RX to. Do not just copy the settings in the picture below! Configuration tab – select “Serial-based receiver” and select the appropriate receiver type in the drop downs found in the “Receiver” section. (Numbers “1” and “2” in the image below). Receiver tab: pick the appropriate “Channel Map” for your system. The default value for this drop down is incorrect for most radio systems. 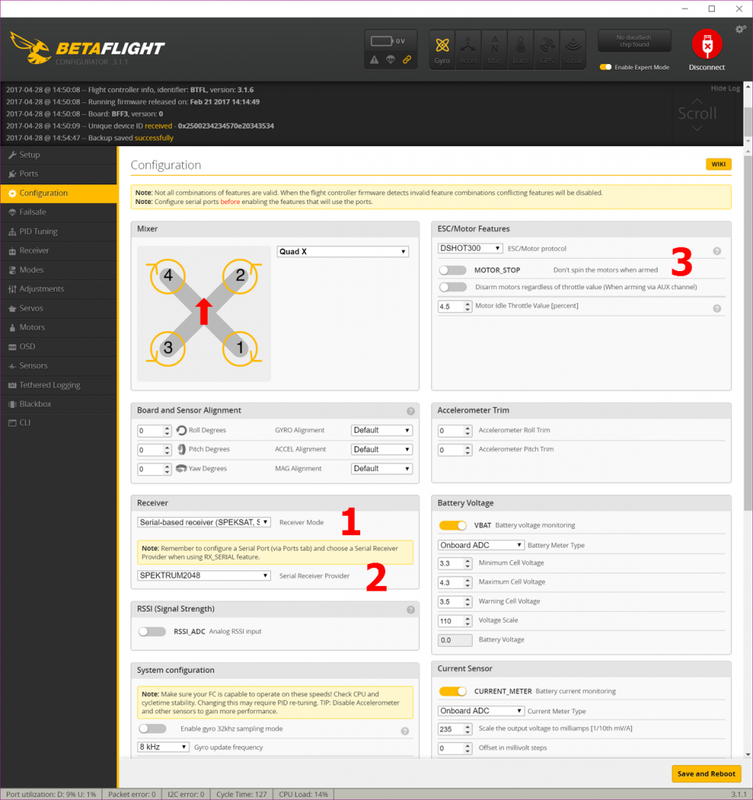 If you are flying with a FrSky or Spektrum radio system, you will want to choose “TAER1234”. Check the “CPU Load”. If it is bouncing off 100% then often times serial receivers will not work. Turn down your looptime, turn Blackbox down, or disable your Accelerometer to fix this. If every item above is checked, then you really shouldn’t have a problem! Seriously, though – if you are still having a problem after performing all the above steps, you’re likely looking at defective hardware. I would recommend first trying to move your wiring of the RX signal wire around. If it is on UART 2, move it to UART 3; or vice versa. Next, try hooking it up to a spare flight controller, if you have one. If it works on another FC, your FC is probably defective. If it still doesn’t work, your RX is probably defective.